I am pretty thrilled at any and all small details that make a huge impact at a wedding. 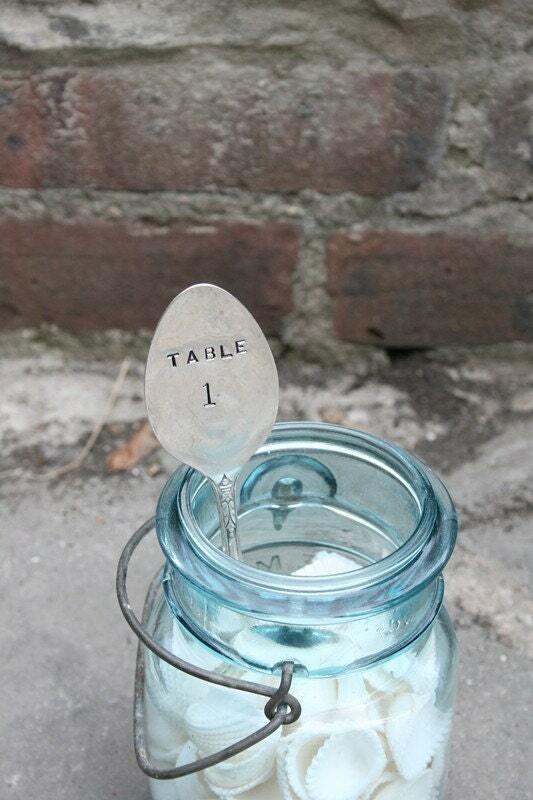 I particularly love the unexpected-yet-practical which is exactly what I discovered on Etsy's BeachHouseLiving shop. 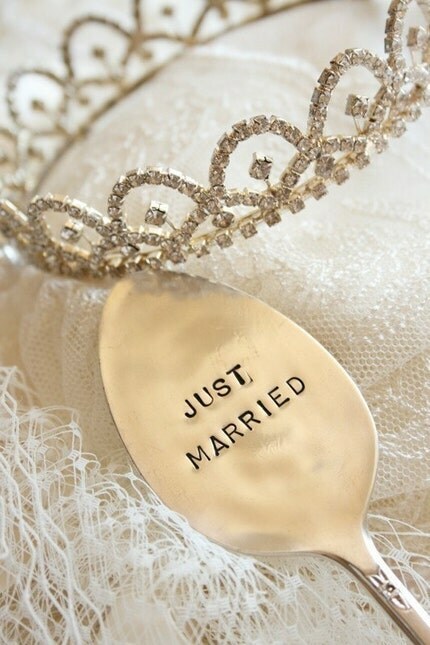 This vendor specializes in vintage silverware that is hand stamped to be personalized for any occasion, but obviously the wedding items sparked my interest the most. 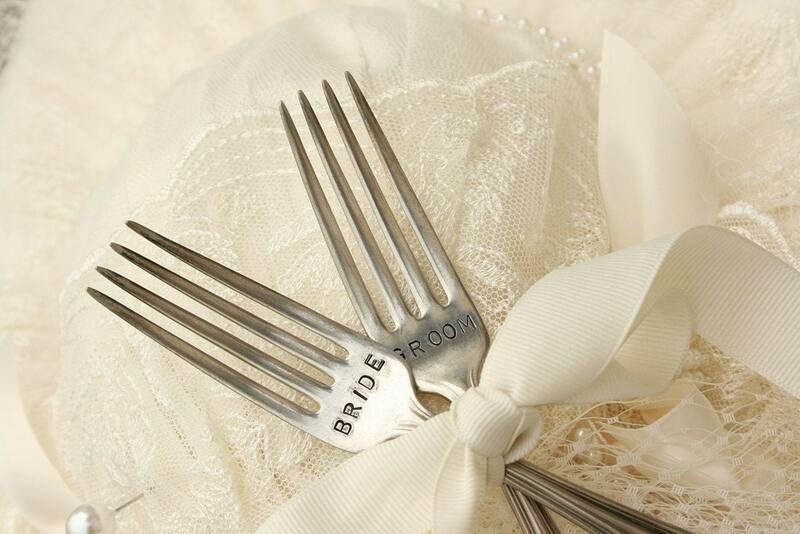 These gorgeous forks and spoons fit into an elegant theme and make great gifts for the couple. There are plenty of options for the stamping including using the silverware as cake toppers and table numbers. Not to mention that this is wedding decor that can be saved as family heirlooms for future generations to treasure (I love that idea)! 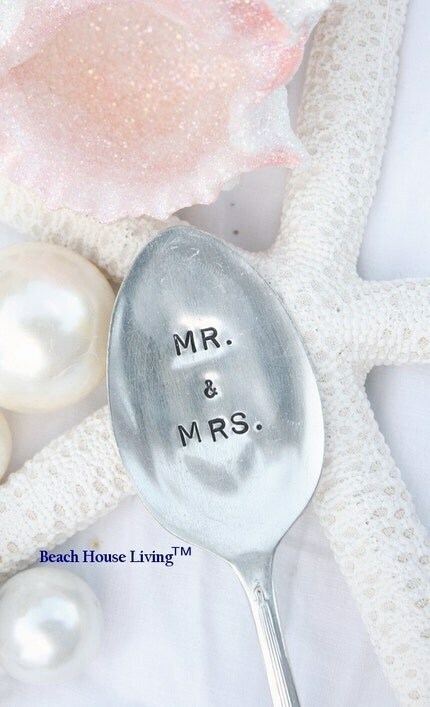 Please look around this lovely vendor shop for more ideas & inspiration (all photos are from the BHL shop). Enjoy!